Q&A: Why do I need a complete blood count? Q: Why does my doctor always order a 'complete blood count' at my annual physical? A: Even people who get uneasy around needles may find that when it comes to a complete blood count (CBC), the screening is easier and more important than they imagined. CBC is a common, yet invaluable, blood test that can help detect diseases while no visible symptoms are present. It also provides your doctor with a baseline reading for your health. 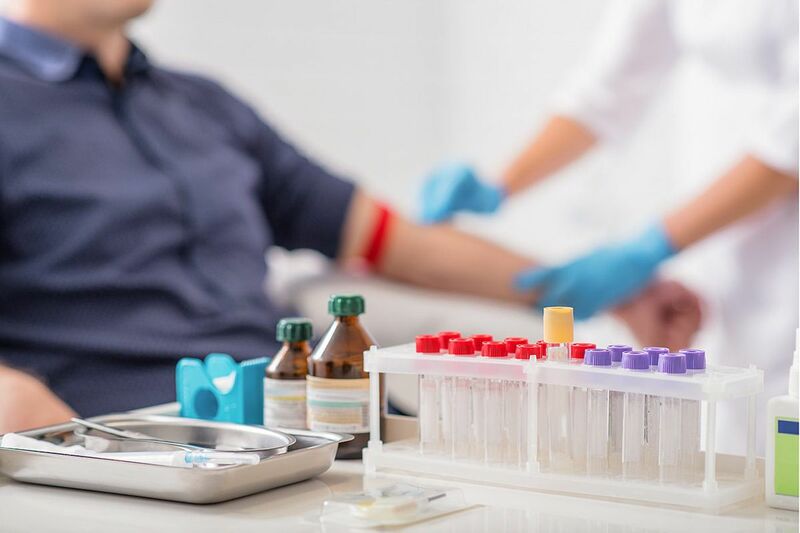 It consists of a single blood sampling that allows physicians to examine the number of white and red blood cells, platelets and other blood proteins. White blood cells: These cells help fight infections. Low numbers can signal an autoimmune disease that destroys white blood cells, damages bone marrow or causes cancer. A high white blood cell count can suggest infection or inflammation. Red blood cells: These cells, and a protein that they contain called hemoglobin, carry oxygen and iron throughout your body. A low red blood cell count signals anemia, which may mean that your body does not contain enough iron. A high count can indicate dehydration, among other conditions. Platelets: Your platelets help with blood clotting, and an abnormal number of them can point to the need for further testing. Mean Corpuscular Volume (MCV): This score measures the average size of your red blood cells. High or low MCV scores can suggest vitamin deficiencies or certain types of anemia. CBC typically accompanies your annual physical and, unlike other blood tests, you do not need to fast beforehand. Additionally, it only requires a small amount of blood—about half the size of a pen—compared to other routine blood tests. In most outpatient settings, your doctor gets the results of your CBC in as little as 24 hours. While subject to a variety of factors—including responses to medication and personal medical history—the results of a CBC can provide your physician with a starting point for diagnosis. It is especially helpful when diagnosing a condition that is based on vague symptoms, such as weakness, fatigue, fever, inflammation or bruising. Your physician may recommend the appropriate frequency of CBC tests to diagnose or monitor a medical condition, monitor the effects of treatment or simply to review your overall health. Melissa Bertha, DO, is a family medicine specialist at Nazareth Hospital.